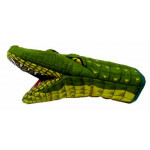 3D alligator oven mitt. 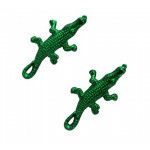 ..
2.75 inch plastic craft alligator. ..
Geniuine 10" alligator head. Great souviner for any swamp or bayou lover. 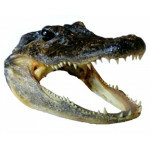 ..
Geniuine 8" alligator head. Great souviner for any swamp or bayou lover. .. In the South, nothing says Mardi Gras like alligators. 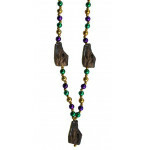 These 42" hand strung 12mm beads in purple.. In the South, nothing says Mardi Gras like alligators. 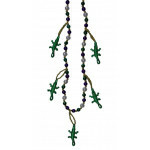 These 7.5mm 33" green metallic throw beads..
"Mardi Gras and gators" in the south is a common theme. 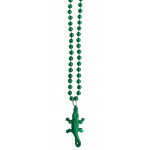 This necklace combines Mardi Gras colors,..
Bobble gator. Comes in assorted colored beads. 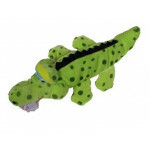 ..
13" plush toy alligator. ..